Miriam Barr has been writing poetry since childhood and performing her work all over the place for years, often in collaboration with other poets, musicians and artists. Lately she has been experimenting with elements of song. She was recently voted audience favourite at the Bowery Poetry Club’s open mic night in New York. Her collaborative work with artist Kate Barton features as an example of animated poetry and multimodal semiotics in Paolo Trimarco’s book, Digital Textuality (Palgrave Macmillan UK, 2015). Her poetry is published in Landfall, Brief, JAAM, Poetry NZ, Blackmail Press, 4th Floor, Wild Goose Poetry Review (US), and Takahe. Her first major collection, Bullet Hole Riddle, was published by Steele Roberts last year and is described in the Landfall Review Online as “profound” and “perfectly formed”. She currently coordinates National Poetry Day. Find examples of her work at www.miriambarr.com. Dubtext explores the sonic fringes of ambient, dub, downbeat and minimalist techno using found sounds and analogue synthesisers. 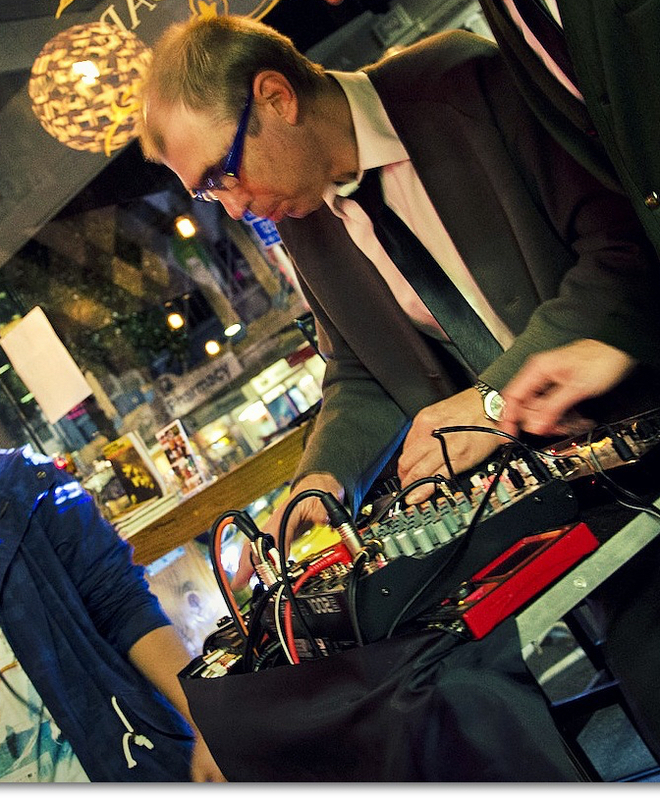 Regularly seen on the streets and clubs of K Rd, Dubtext combines improvisation and spontaneity with electronic music that you can dance to but is designed for listening.